Earlier this month, the American Urologic Association (AUA) held its annual meeting in San Francisco. More than 10,000 urologists came together in a convention center to debate controversies in the field of urology. During the annual meeting, it was clear that prostate cancer screening is still very constroversial. After spending 12 hours a day for 5 days at the convention, taking in all the newest research and lecturing, I began to consider how far we have come during my career in the area of prostate cancer screening. What follows is a brief overview of the evolution of prostate cancer screening in America. I began pursuing the field of urology while I was a third year medical student at Columbia University’s College of Physicians & Surgeons, which was founded by King George III of England in 1767 and happens to be the medical school that graduated the first doctor in the 13 colonies. At that time, the concept of prostate cancer was completely foreign to most medical professionals simply because most men didn’t live past the age of 40 and never grew old enough to develop the disease. In fact, even as recently as 1900 the average lifespan of a man in America was only 48 and no one was debating how to detect or treat cancer of the prostate. At that time, most men with prostate cancer were being diagnosed via a rectal exam when they had a growth large enough to feel in their prostate. Nearly a third of men had cancer in their bones when diagnosed in the early 1990s and were incurable. It was not unusual for the first sign of prostate cancer in a man to be weight loss and bone pain. During that era several other important things were happening. In Baltimore, Dr. Patrick Walsh introduced a new way to operate on early stage prostate cancer patients which greatly reduced the side-effects of the surgery. Ultrasound was first being used to image the prostate and facilitate a means to obtain a rapid and accurate biopsy diagnosis. Pharmaceutical companies had just invented a new injectable medicine to reduce a man’s testosterone to near zero, which could be used to treat men with advanced stage prostate cancer without surgically removing their testicles. These inventions lead to an explosion of newly diagnosed and treated prostate cancer cases. We saw massive increases in the number of surgeries for prostate cancer and a nearly-doubled rate of newly diagnosed men in America. The era became known as the “PSA era” in our field. We realized that not all cancers were the same – some were more aggressive and others less so. We realized we could find more cancers by increasing the number of biopsies from 6 to 12. In terms of treatment, we realized we could radiate cancers by inserting small radioactive seeds into the prostate, thereby reducing side-effects. In 2001, we realized we could remove the prostate gland using a new machine created for heart surgery, called an operating robot. This led to a second explosion in surgery for early stage prostate cancer. Over time in Europe and Canada, we were seeing that in some cases you could simply not treat early prostate cancer, but rather follow a process called “active surveillance.” As were diagnosing so many tiny cancers caught so early with such indolent behavior, it started to look like we didn’t have to treat a lot of the cancers we were finding. Yet by 2012, we had driven cure rates up to their highest point. Moreover, we had made bone cancer at the time of diagnosis an extremely rare event. It seemed that the “PSA Era” was a success. However in 2012, the United States Preventative Services Task Force (USPSTF) put a stop to the “PSA Era” by issuing a warning that PSA testing and any form of screening for prostate cancer was hazardous to your health. The USPSTF put forth that getting diagnosed and treated was more dangerous than not getting diagnosed at all. This was a shocking development as it was the first time this organization had ever held that people should avoid check-ups for a common cancer if they wanted to stay healthy. At the time that the USPSTF published this suggestion, prostate cancer was still the second most common cause of cancer death in American men. At or around this time several other things were happening. MRI scanning for prostate cancer was getting more and more accurate at finding small cancers that were aggressive. This was due to a massive increase in the power of MRI magnets. In addition a search was on for a better biomarker than PSA and many biotech companies started coming up with tests that were better at detecting the bad cancers that we all agreed needed to be found earlier. After the USPSTF task force issued its condemnation of PSA screening, 30-40% fewer men in American got tested for prostate cancer. The rates of more aggressive and more advanced cancers started to rise. Doctors and patients were listening to the advice of the USPSTF. The urology community, however, was already working on a better way to test men for prostate cancer. Subsequently, the rates of “active surveillance” for low risk disease started to rise dramatically as well. We realized that diagnosis did not have to equal unnecessary treatment. In 2018, I am no longer that medical student at Columbia University. I am the Chairman of the Department of Urology at Columbia and Urologist in Chief at New York Presbyterian Hospital. The progress in the area of prostate cancer detection and screening that has occurred in my career has been amazing. At the AUA conference in San Francisco, it was evident that the new paradigm for screening for prostate cancer involves a more intelligent process of PSA testing. This new regimen of PSA testing includes secondary biomarker screening and selective MRI scanning to identify the patients who need to be diagnosed – and not those with indolent cancer. Using these techniques we can now avoid 20-40% of unnecessary biopsies, and accurately find the bad cancers earlier. Thankfully in 2018 the USTPTF has softened its recommendation against prostate cancer screening. It appears we are back on the right track to diagnose and treat men early, but only in the situations where it is necessary to diagnose and treat. Dr. James K. McKiernan is the John K. Lattimer Professor and Chairman, Department of Urology, Columbia University/NewYork-Presbyterian Hospital. 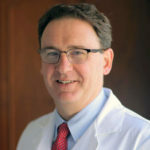 Dr. McKiernan is a member of our Medical Advisory Board.